Right now, WordPress is offering you 15% off any new plan purchase. To create your small business website today, visit WordPress.com/twist. A business is only as strong as its people, and every hire matters. Go to LinkedIn.com/TWIST and get a $50 credit toward your first job post. Join us for a discussion about the consequences of workplace stress and what leaders and workers can do to alleviate it. 00:53 – Jason introduces Jeffrey Pfeffer, author of “Dying for a Paycheck: How Modern Management Harms Employee Health and Company Performance—and What We Can Do About It.” Jeffrey says he wrote the book because there is currently a health care cost crisis around the world, and that stress from work is largely responsible for the lifestyle behaviors that result in chronic disease. The pair discuss examples of stressful work environments and how men and women handle workplace stress differently. 09:34 – Jeffrey says that 40 or 50 years ago, companies realized they could beat their competition by not worrying about air pollution, water pollution, etc – by externalizing costs. Social pollution does the same thing by forcing people to rely on public health and public welfare systems. Companies will not make good decisions about how they treat people unless they are forced to realize the full cost. 14:15 – Jason thanks sponsor WordPress.com. Visit worpress.com/twist for 15 percent of any new plan. 16:12 – Jason asks Jeffrey about his tenure at Stanford and why so many of his students are entrepreneurial (self-selection). 18:11 – Jeffrey talks about what’s changed over the past 40 or 50 years in terms of stress, depression, ADHD, etc. Jason says people have become reliant on pills rather than make lifestyle changes that could reduce stress. Jason says it seems much of people’s time at work is spent sending emails and reading the web. Jeffrey says leaders must live balanced lives themselves for their employees to have balanced lives: the more hours employees work, the less productive they become. 28:26 – Jason thanks sponsor LinkedIn. Visit linkedin.com/twist for a $50 credit toward your first job listing. 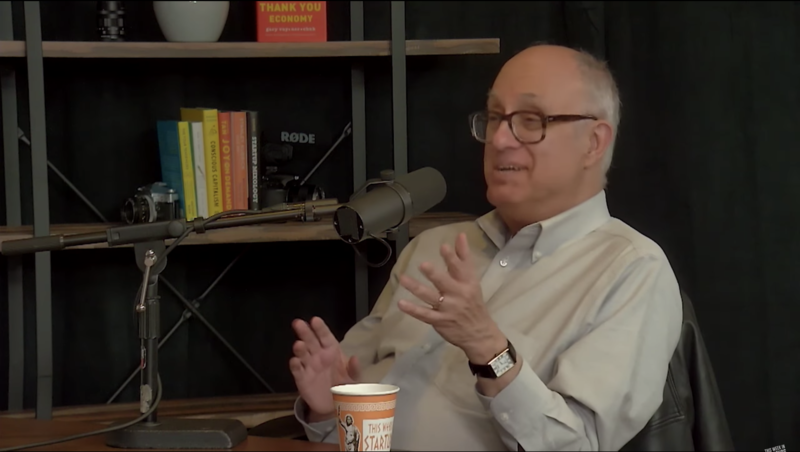 31:51 – Jeffrey says humanity in the workplace is getting worse over time. Long work hours, work-family conflict, and not having access to health insurance all contribute. Jason says everything is getting cheaper and products are getting better. People today live better than Rockefeller did, but it doesn’t seem to be enough for certain people. He says some gig workers choose to work less and to have time to live. 35: 47 – Jason and Jeffrey discus the dystopia of San Francisco and Jeffrey says that while engineers at Google are doing well, average wages haven’t gone up at all. They discuss the problems of burnout, alcoholism, and drug abuse in high-paying jobs. Jason says it’s crazy that people opt into this. Jason asks how founders can set a good example. Jeffrey says leaders should value employees’ time and not be abusive. Jason says there’s a good argument that modern employees are coddled. Jeffrey says that isn’t true. 44:41 – Jason and Jeffrey talks about how social media and constant connectedness poison our lives. Jeffrey says that while employers are responsible for employees’ well-being, people have to watch out for and take care of themselves. 47:52 – Jason says while some people are constantly pushing to achieve regardless of the toll it has on them, others are pushing for balance. He asks why those who push too hard stick with it if things are so bad. Jeffrey says companies play on people’s egos: there is a desire to remain tough in a prestigious company. Workers also get too psychologically and physically exhausted to extract themselves from a bad situation. 50:58 – Jason praises SurveyMonkey for its humane stance on employees’ personal time, which has allowed the company to over-hire a bit rather than overworking employees. Jason says in the past year he’s decided to overstaff and overcompensate. He says making things fun and not overreacting as a boss has helped. Jeffrey notes how the “everything is a crisis” attitude affects employee stress levels. 56:59 – Jeffrey says many entrepreneurs are blind to how their actions affect employee health and care only about getting the product out the door. He covers the importance of support systems in the workplace: social, emotional, financial. Jeffrey also talks about the importance of economic security and being fearful of job loss. Jason says fear inhibits a person’s ability to make decisions, then talks about fearlessness. 1:01:27 – Jeffrey says Jason is confident because he is his own boss. The problem for other people is that they place a lot of their psychological and physical well-being in someone else’s hands, and can only hope that person will be a responsible steward. Jason talks about at-will employment and the importance of firing those you’re rooting against. 01:04:09 – The pair discusses the situation in other countries, such as China, where people regularly die from overwork. Jeffrey says it’s better in the Nordic countries, where sustainable work environments are valued. He says companies in Silicon Valley are designed to flip – it’s a sprint, not a marathon. Founders who are in it for the long haul use sustainable management techniques. 01:06:21 – Jeffrey talks about how countries, as they become wealthier, address problems of pollution, preventable death, more. Companies in the US, as they become wealthier, are not addressing the problems within.